In April 2018, the Saudi led coalition fighting the Houthis in Yemen killed Saleh al-Sammad, a senior Houthi official, in an air strike. The attack dealt a heavy blow to this secretive movement that is threatening to destabilize the entire region. However, the war is not over. Houthis retain control over a large part of northern Yemen and continue to use guerrilla and terrorist tactics against the Saudi-led coalition, including missile strikes on the Saudi capital Riyadh. The Houthis have also threatened to attack Saudi oil facilities. Recent events can be traced back to 2014, when the Houthi rebel group Ansar Allah entered the Yemeni capital Sanaa and seized the presidential palace after failed negotiations. At present, whether they are even looking for a permanent political settlement anymore is debatable, according to political analyst Fatima Al’asrar, who notes the clear divisions between the northern area of Yemen controlled by the Houthis and the south. Some hold that there is essentially no difference between the Houthis and al-Qaeda. Both are dangerous groups out to kill large numbers of people. This prompted Saudi Arabia and the United Arab Emirates to designate the Houthi movement as a terrorist group in 2014. In 2015, the US labeled Houthi leader Abdul Malik al-Houthi a “Specially Designated National”, a sanctions category for individuals deemed detrimental to the security of the US. In fact, in October 2016 the Houthis launched missiles at the USS Mason, a destroyer deployed in the Red Sea. The US responded with cruise missile strikes on Houthi radar installations. The US also supplies weapons, strategic support and intelligence to the Saudi-led coalition. For its part, the UK is an important arms supplier for Saudi Arabia. For the region, though, this situation is deeply regrettable. A stable Yemen could help Gulf states in international trade as well as Middle East peace efforts. The Bab-el-Mandeb waterway between the Gulf of Aden and the Red Sea is the fastest route between Europe, the Gulf region and Asia. With the support of the Arab coalition, Yemen’s armed forces have launched an assault on the Red Sea port city of Hodeida, which has been under Houthi control since 2005. 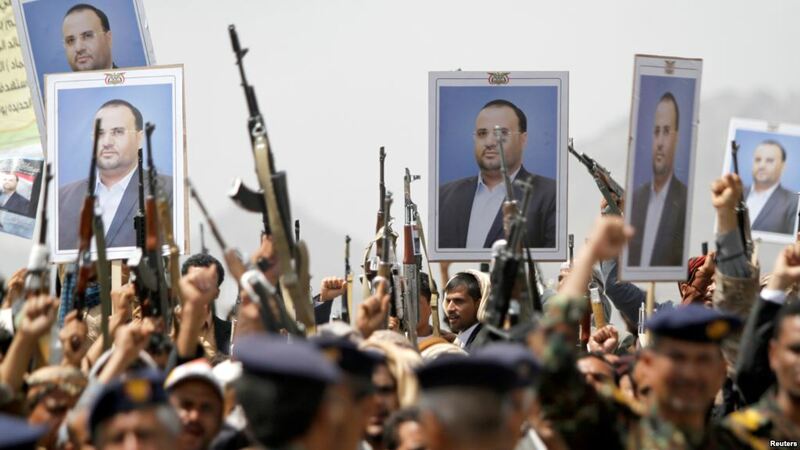 It is a crucial conduit for the supply of arms and ammunition to the Houthis. Taking Hodeida would support international trade, free from any disruption. It would also enable the Saudi led coalition to launch attacks against the rebel-held capital of Sanaa. For the Houthis, losing Hodeida would be a major economic and political loss as well as a military setback. It could also reduce their willingness to negotiate. However, given the mixed signals of the Houthis up to the present, this may not be something to worry about. If the port is captured, the United Nations may take over administrative control of the region. Houthi missile strikes remain a threat to Saudi civilians. On the third anniversary of conflict between the Houthis and Saudi Arabia for instance, they fired seven missiles into Saudi Arabia. This, when their spokesperson Abdul Kalam was in Saudi to perhaps reach a political settlement. The Houthis did lose many of their influential allies last year when they executed their former supporter, the former president Abdullah Saleh. This led to the defection of the General People’s Congress. Furthermore, the Yemeni president, Abd Rabbu Mansour Hadi, has been forced into exile by the rebels but the UN still recognizes his government. However, Iran continues to support the Houthi militia, including weapons supplies. These are thought to include the missiles targeting Riyadh. Others are at risk too – in May 2018 the Houthis launched a missile attack on a Turkish ship carrying wheat to Yemen. Despite mounting humanitarian concerns, more fighting seems inevitable. In many Saudi eyes, the Houthis have only looked for ways to expand their geographical reach. They must be disempowered, these Saudis believe. If the coveted prize of Hodeida is indeed taken, the Arab coalition is likely to insist upon disarmament of the Houthis in any negotiation. Mohammed al-Houthi, a senior militia leader of the group, has a very different view. His plan calls for an end to coalition operations, but there is no offer to disarm and end Iran’s military support for the Houthis.